Aging skin problems are a real thing over here. Somewhere along the lines while I wasn’t paying attention, my skin decided to jump years ahead of my real age. It’s time to start fighting back. 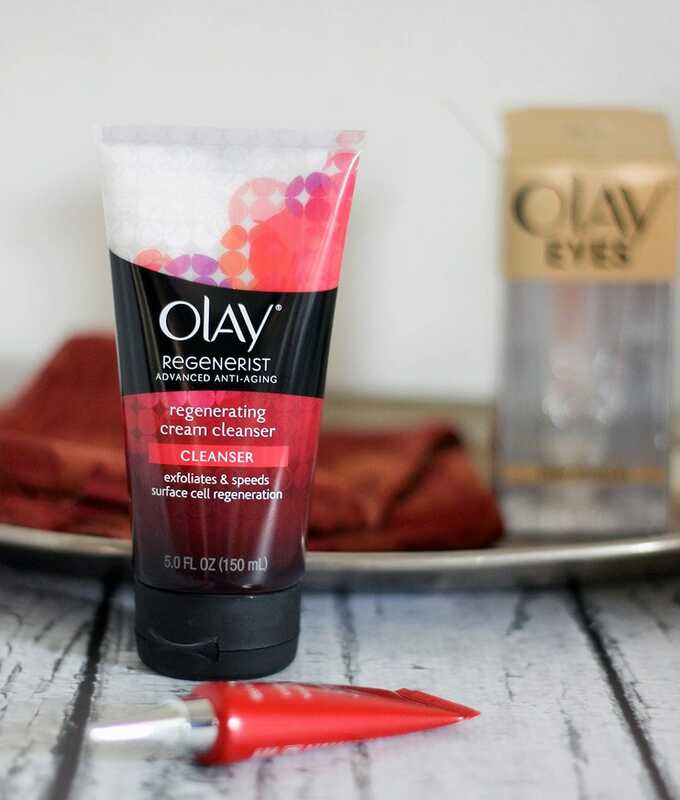 I partnered with Olay to participate in the 28 Days of Olay study. All opinions and results are my own. Growing up, I was always told I looked older than I was. That was cool when I was fourteen and could pass as seventeen, but now it needs to slow the heck down. 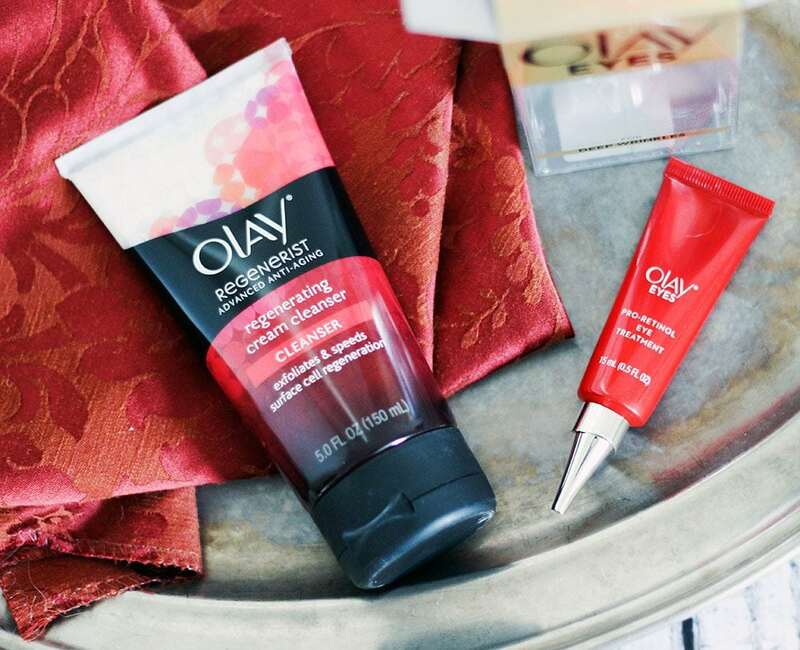 At the beginning of the 28 Days of Olay study, I used the Skin Advisor Tool from my phone. I took a picture of my face, and the tool was able to identify my aging skin problems and recommend the best products for me to try during the study. It also gave me my skin age. You guys, my skin age is SEVEN years older than my real age. What have I done to myself? Here’s the thing, I never “grew into” an anti-aging skin care routine. Since I still have frequent breakouts, I often use products that are most likely meant for teenagers. It’s time for me to stop making the zits a priority and start battling the aging skin problems full on. As soon as the Skin Advisor Tool let me know which products to get, I headed to Walmart to purchase them. I happened to have Olay Regenerist Micro-Sculpting Cream Face Moisturizer in my cabinet already, so I used that a couple nights per week, as well. To me, my most obvious problem area is my eyes. I have hooded eyelids that are starting to droop like a Shar Pei. And just like the wrinkly dog breed, the lines are getting so pronounced that it causes irritation. I have one crow’s foot that is so deep it hurts. That’s so gross, but I am not kidding that it’s like a deep dessert cavern that needs rain. Needless to say, I was not surprised the Skin Advisor Tool picked up that crow’s feet are an issue for me. 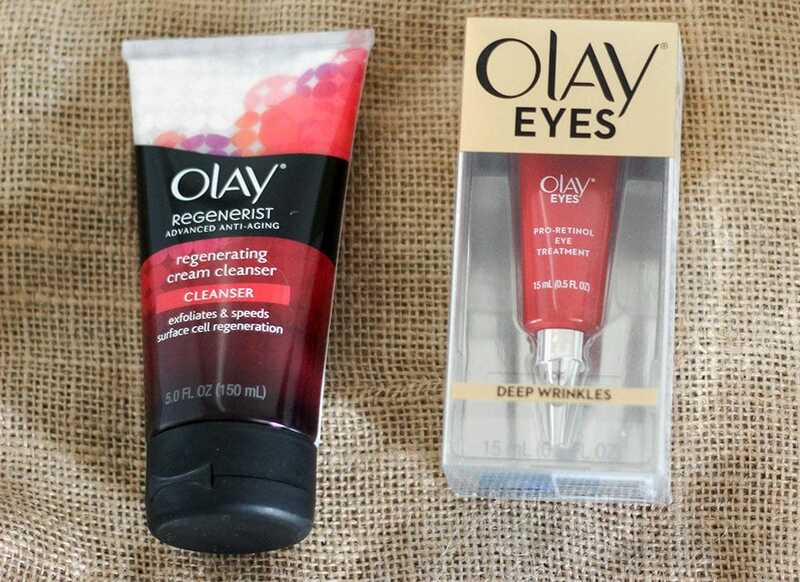 The tool recommended that I get Olay Regenerist Regenerating Cream Cleanser and Olay Eyes Pro-Retinol Eye Treatment. I purchased them both at my local Walmart. I was nervous about trying the eye treatment because my eyes are extremely sensitive. Even more with age, anything I put on or near my eyes now causes irritation. 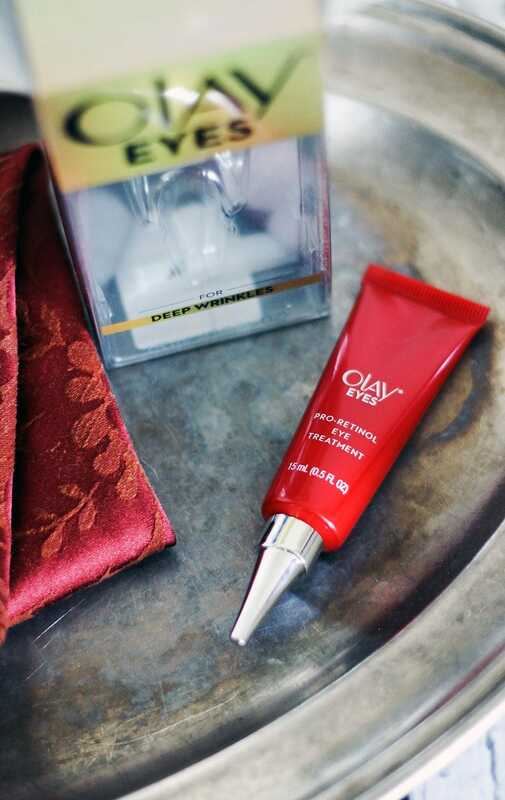 I am happy to report that the Olay Pro-Retinol Eye Treatment doesn’t bother my eyes at all. It’s the first eye treatment cream in years that I’ve tried that doesn’t make my eyes burn. Since I have oily skin, the words “cream cleanser” scare me a bit. However, it’s a cream cleanser that contains an exfoliant, as well. It doesn’t leave my skin feeling heavy like I imagine a cream would. 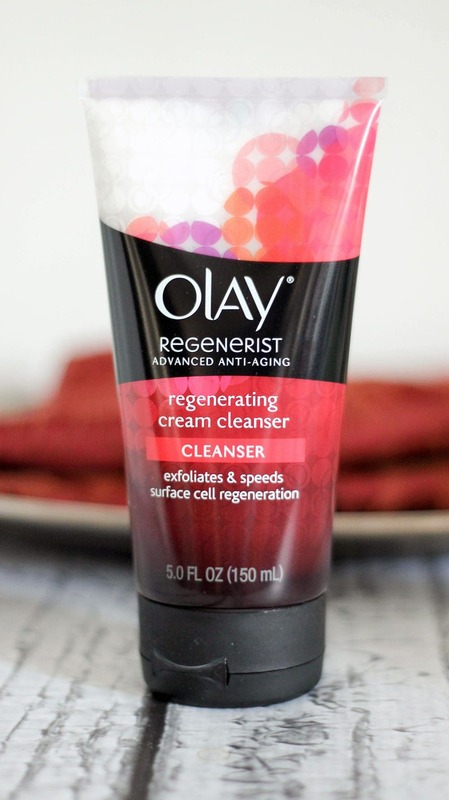 I’m left with fresh and clean skin after washing with Olay Regenerating Cream Cleanser. Full disclosure: I had a series of stressful events arise during this 28-day study that I believe altered my results. I got really sick for a solid week, we went through a devastating family tragedy, and I attended a convention. Anyone who knows me knows that it doesn’t take much for my anxiety and stress levels to go bonkers. The evidence appears as baggage right under my eyes. But, look at my eyelids. Am I missing a whole eyelid roll on the one eye? 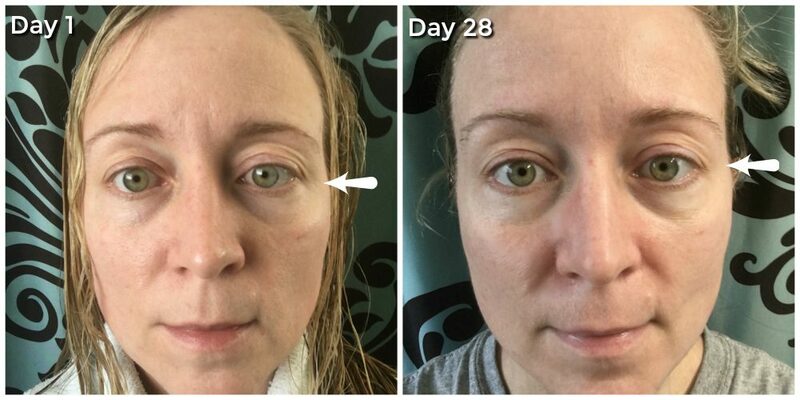 Even without remarkable before and after pictures for you to see, I notice quite a bit after using Olay products for 28 days. Even though I have some stress breakouts and bags under my eyes, my skin feels brighter. It appears as though my age spots are lightening. My crow’s feet feel hydrated and a lot less deep. It was also a great reintroduction to the brand for me. Somewhere along the line, I associated Olay products with heavy cream and a strange scent(???). Now I know that Olay is not your grandmother’s skin care anymore. Their products target a huge variety of skin problems, ideal for people of all ages. 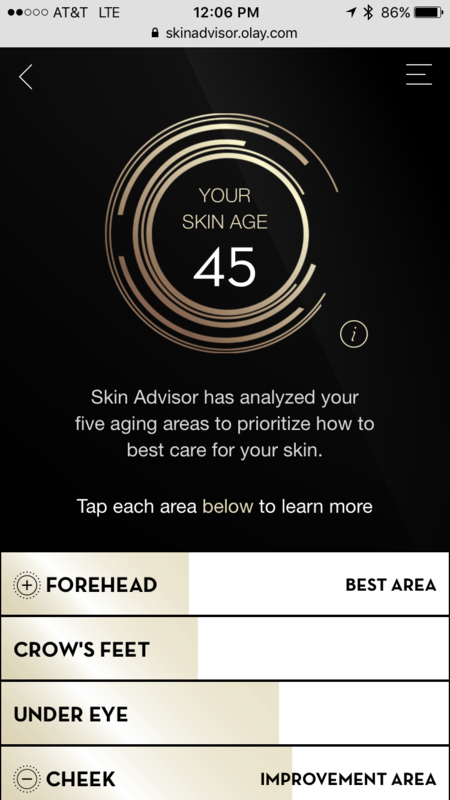 Do yourself a favor and use the Skin Advisor Tool from your mobile phone. Perform your own 28-day study to fine tune your skin care routine. If you are starting to experience aging skin problems, start fighting the good fight now!